The wrong colors of furniture can prove to be the worst mistakes of your life. The wrong shades shall not only ruin the whole look of your room but will also make the ambience unpleasant and uncomfortable. Therefore, you need to be extra careful before you buy furniture colors. To help you save yourself from the trouble, here are certain aspects that you should consider before choosing the color of your furniture. The walls of the room – you must choose a color that goes well with your walls. A dull colored sofa combined with a dull colored wall would look bad. Try getting colors of contrast which go well together. You can also look for neutral colors. This shall prevent you from changing the sofa each time you think about changing the color of your wall. Try combinations of different colors and fit in the most suitable color in your room. The light in your room – the target room should give lights in such a manner that it illustrates your furniture. 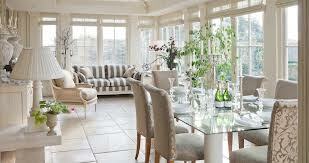 You should consider the importance of both natural light as well as electric lights that you use in the room. The more natural light you have, the more you can experiment with darker colors and contrasts. Dimly lighted rooms should have light colors inside them. The decoration in your room – if majority of the articles inside your room are heavy and dark, then light colored furniture can never look good beside them. You can go for heavy colors like chocolate and red which shall look better with the heavy décor. If your decoration is close to wrought iron, black and other metallic colors, a dark red sofa might look exquisitely beautiful in the room. The size of your room – this is among the most important aspects of your room which decides its attractiveness. If you have a small room, then try light colors like cream, light golden, and white with little combinations of contrasted dark colors. This shall help the furniture to create an illusion of more space than there actually is. Dark shades in small rooms make them look all the more tiny and dingy. Besides furniture, you can also try various other home décor like mirrors which create space illusions. To get more ideas, you can visit a good store which specializes in offering beautiful home décor along with furniture under the same roof. The furniture that already exists – if you are planning to re design your room, then it is not necessary that you would change everything inside it. If you are planning to get rid of only some material then buy furniture that goes well with the existing furniture pieces. You can keep their color, style and design in mind before you buy. Try selecting a similar shade so that a theme is created in the room. However, if you love to experiment, then you can bring something which of just the opposite color. Stark differences in color combinations often look great in larger rooms. A beautiful veranda is always accompanied by some quality furniture. If you have a house with a patio or a private verandah inside, then you must consider how important it is to decorate it with the best furniture. Outdoor furniture not only gives a soothing effect to you but also creates the classiest impression on others.You can make a statement by purchasing the best outdoor furniture for your house. Visit the nearest furniture store to your city to find out what all pieces of trendy furniture you can add to your beautiful home. The furniture that you buy for your patio or verandah needs to be extremely strong and durable. Since, it has to stay outside and is less protected compared to room furniture, you must take good care of your outdoor furniture if you want it to last for long. Check the quality and the brand before buying. Durability and style are both equally important. There are many stores like the which sell really good furniture. All you have to do is look for the one that has the kind of furniture that you are looking for. The materials that you use for your furniture should be rust resistant. You can choose furniture made of aluminum, steel or plastic. Some woods like teak, cypress and cedar are very strong and sturdy but are expensive. Before you purchase outdoor furniture take a good look at the amount of space you have. The common mistake that people make is underestimating the size of the patio by bringing tiny furniture pieces which later look ridiculous. A similar mistake can be made when people buy too bug furniture items. Never commit this blunder and always make sure that you measure the size of the patio beforehand. The best way to look trendy and classy is by getting a shade. Since the weather outside can be too bright or rainy, it is always better to plant your furniture under a natural shade or a stylish umbrella. One nice tip to follow would be to purchase a foot stool. 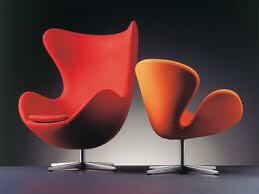 Since you wish to use the outer space of your house for relaxation, get one or more footstools with the furniture. If your verandah is close to the street or the neighboring house, then you might want privacy to enjoy completely. Buy big umbrellas and screens to block everybody’s view. Often people are fooled while buying furniture. Since outdoor furniture is more prone to wearing off, check all the details of the furniture before you buy. Go to a big and a trustworthy furniture house that would not fool its customers. Try buying furniture with springs. This sustains for a longer period of time and does not look bad even after the springs get loose. Don’t forget to buy cushions! 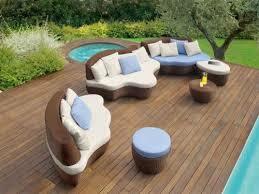 Patio or verandah furniture is meant to be for comfort and luxury. You need to buy soft and comfortable cushions to accompany your large furniture pieces.